I am officially one satisfied Doughman volunteer. 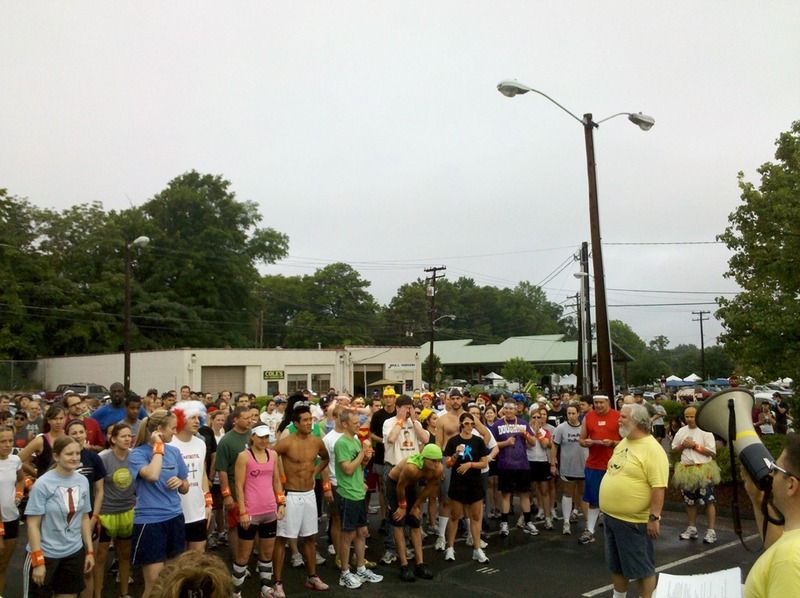 The race went off according to schedule on Saturday morning (Mother Nature cooperated!) and I was lucky enough to be stationed at the VIP tent, which was right in the middle of all the action! I spent my morning serving corndogs, vegetarian tamales, vegan spaghetti and meatballs, lamb sloppy joes, cupcakes, brownies, bread pudding, and popsicles to the VIPs. And they started eating all this at 8am. Not my cup of tea, but hey, Doughman only comes once a year. 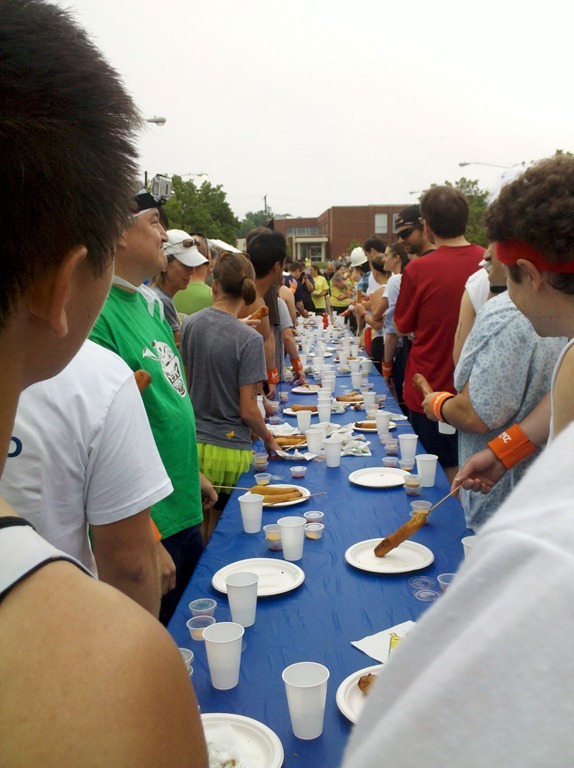 The VIPs were smart and bought tickets so they could not only watch the racers, but also eat while the racers ate. Very cool. 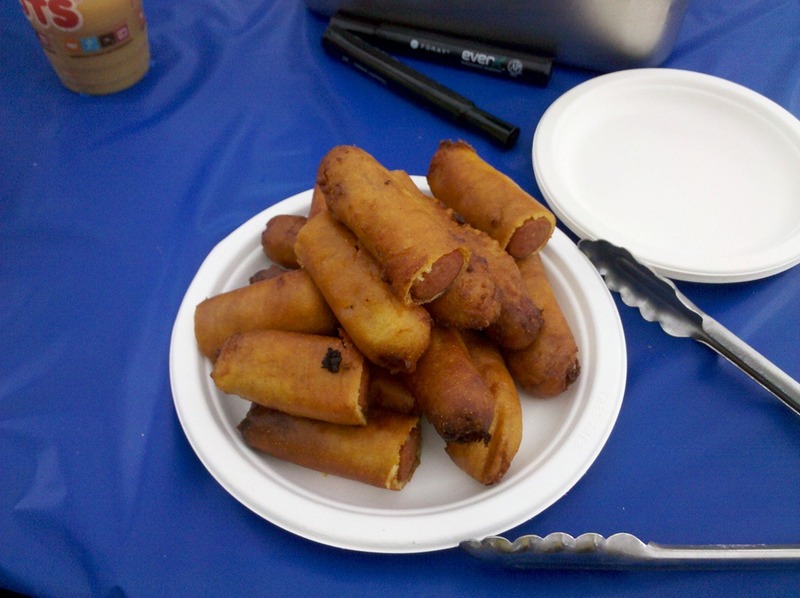 Huge corndogs from Dain’s Place. Racers ate a full one, not half. 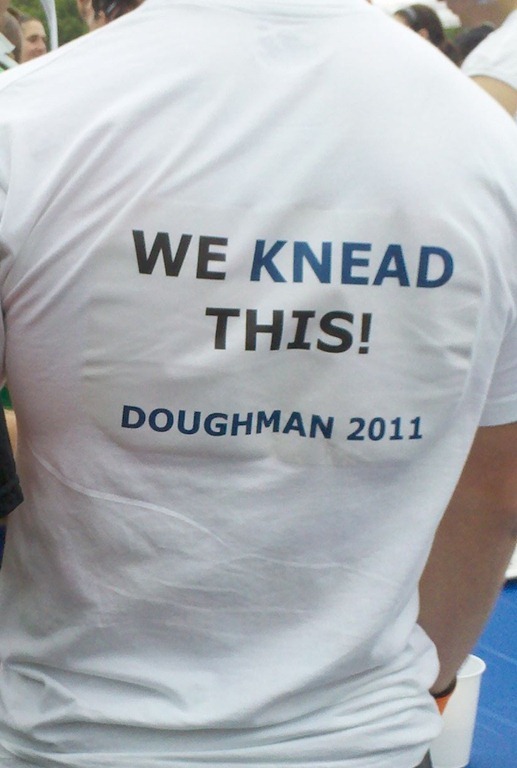 And a fun fact: Dain and his team are the founders of The Doughman! 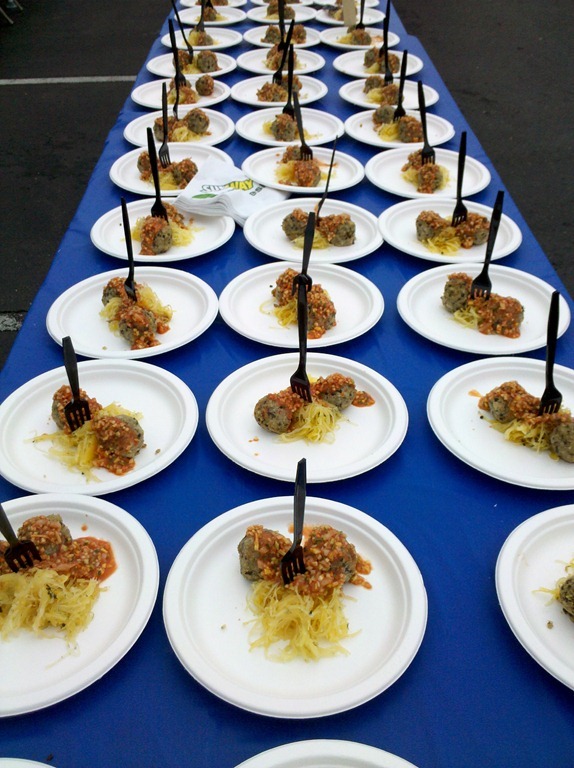 Vegan Spaghetti and Meatballs from Four Square….as in spaghetti squash, quinoa meatballs, and a tomato salsa sauce. Really yummy. Hello, Gorgeous! 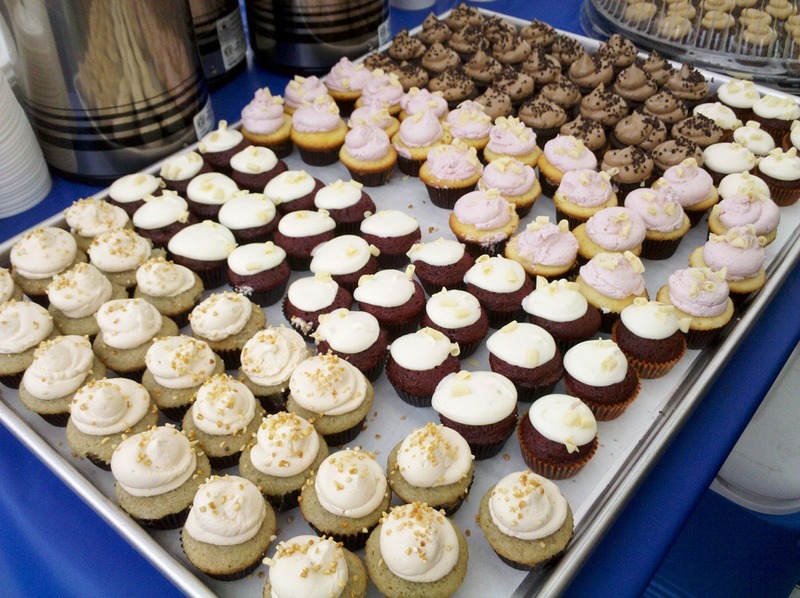 A variety of cupcakes from Nosh and Daisy Cakes. The foods I missed pictures of were Six Plates’ famous Lamby Joe Sliders, a tamale from Dos Perros, bread pudding from Piedmont, and gourmet popsicles from Locopops. All in all, a fabulous showing of all the foodie offerings in Durham! 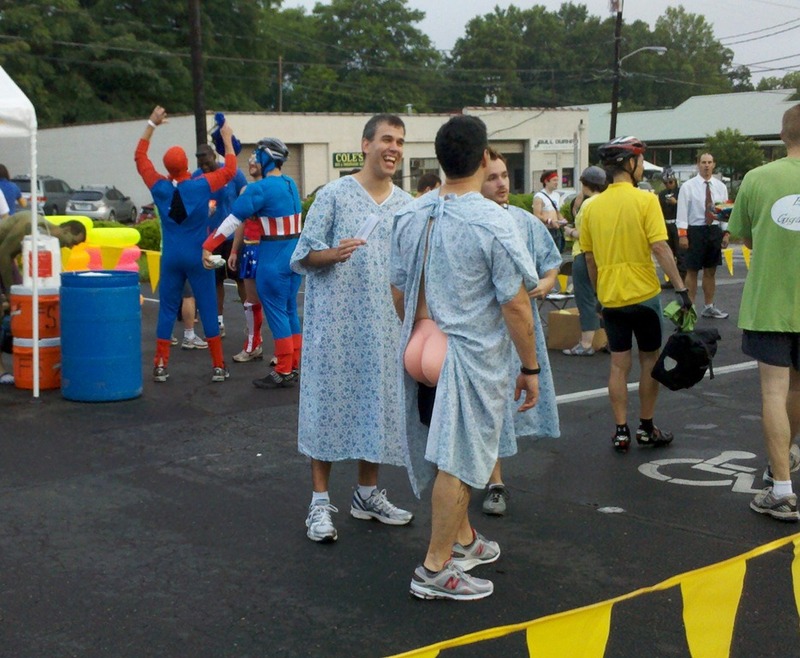 And the best part about volunteering? 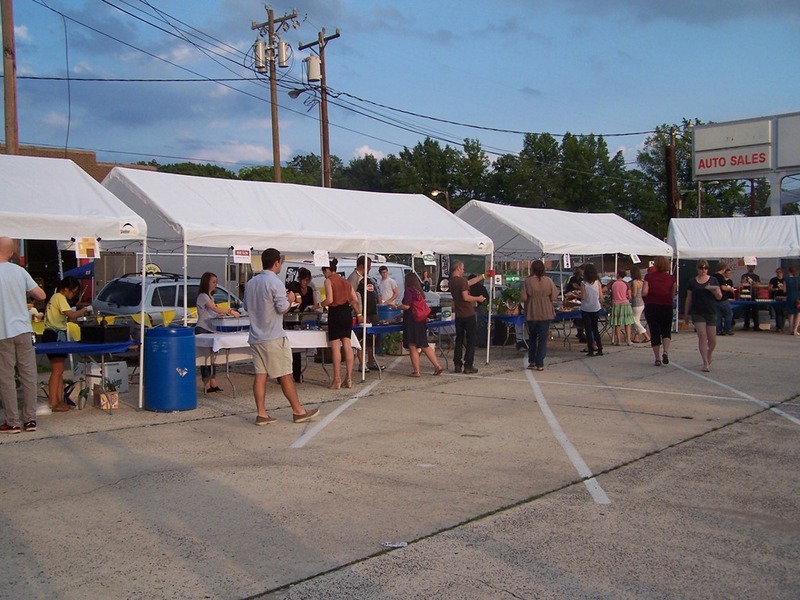 Attending the banquet Saturday night that featured even more local restaurants, breweries, and food trucks! Talk about heaven in a parking lot. My favorite items for the night were both from Four Square — a watermelon slice topped with arugula salad and a white bean ratatouille. (I think that means that I should visit the restaurant soon as I also loved their vegan meatballs from the race!). All that finished off with a Summer Basil Farmhouse Ale from Fullsteam Brewery (which uses basil from local farmers!) led to a very happy belly. I think I’m still digesting. See ya next year, Doughman. 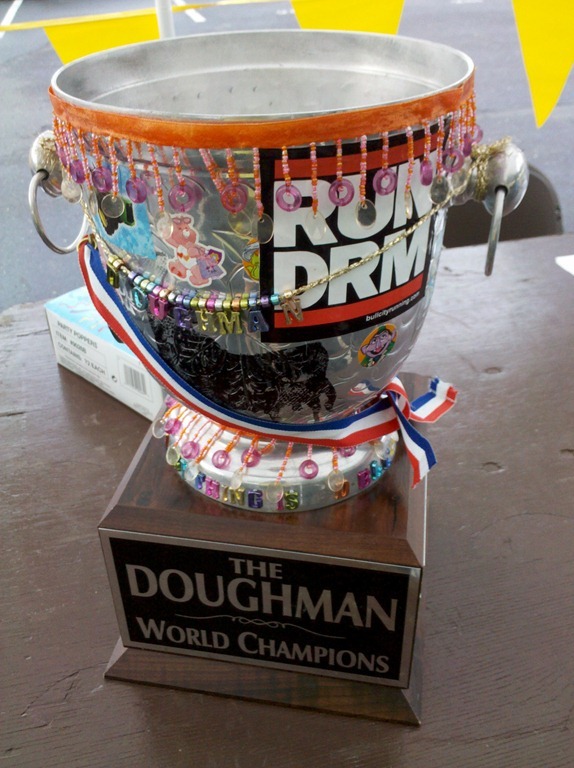 **If you’re interested in dough-nating to The Doughman, there is still time to do so! Just click this link, and then on the orange button that says, “Dough-Nate.” Your money will go to two local charities that help keep kids busy after school by teaching them how to grow an inner-city garden (SEEDS) or design works of art (Seesaw Studio)!